By focusing on the divine light within, we radiate outward with grace and power. The candlelight flows combine elements of Water and Fire, facilitating an empowering and contemplative journey through inspired vinyasa as poetry in motion. Steeped in the magical ambiance of sacred space, this is a perfect way to transition into your evening with serenity, confidence, and clarity. A full spectrum class that includes standing, balance, seated postures as well as some more challenging explorations, inversions, and arm balances. 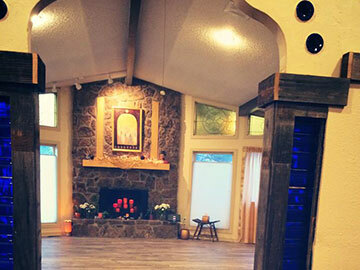 Monthly live music supports and deepens our moving meditations, while deep final relaxation completes the experience.